Public transport is a vital element in the lives of many people. Commuters rely on bus, train, tram and metro services to get them to and from work. Public transport is also crucial for those without cars who need to access education, training, health and social care services. Buses remain the most used form of public transport, but service levels and usage have been in decline. There has been rapid growth in rail passenger numbers over the last decade. Patronage on Light Rail systems in England has seen an increase of 44% since 2007/08. New legislation introduced by the Scottish Government aims to halt the decline in bus use in Scotland, where passenger numbers fell by 10% over five years. Meanwhile, the rail regulator has demanded improvements to the punctuality of trains in Scotland. Wales has seen a steady decline in bus usage in recent years, although over the same period passenger numbers on trains have increased. Translink, which provides public transport in Northern Ireland has reported that trips by fare-paying passengers increased for the second year in a row, with rail passenger numbers reaching their highest level in 50 years. Overall, rail passenger numbers in the UK are rising, although the recent disruption to services in the south east and the north of England following timetable changes underlined ongoing dissatisfaction with the standards of service from rail companies. Meanwhile, Britain’s bus network continues to shrink, especially on local routes. When it comes to public transport, it’s often enlightening to look at how other countries manage. A recent UTG report explored how transport authorities in Sweden, Denmark and Norway are using devolved powers to transform public transport for the better. The report, written by Professor Tom Rye, from the Transport Research Institute at Edinburgh Napier University, considered various aspects of public transport, including service levels, fares, technological innovations, environmental impact and franchising. The report found that, in comparison with the equivalent city regions in the UK (outside of London), service levels in the Nordic countries are higher, particularly during off-peak times. In rural and low-density suburban areas, a higher level of service is provided since there is an element of cross-subsidy between revenue-generating and loss-making routes. By contrast, in the UK bus deregulation does not allow for comparable levels of cross-subsidy. In Scandinavia, as in many other parts of continental Europe, fares are zonal and multi-modal. Passengers can travel on the same ticket by rail, bus, light rail, and in some cities on urban ferries. Journeys are paid for on a stored value or season ticket smartcard. The research found that, in comparison to incomes, fares for frequent users in Scandinavian cities are similar to those in the UK, but season tickets often cover wider geographical areas. The report provides examples of significant innovation on vehicle technologies, including smart ticketing. In Norway fares are increasingly supplied as mobile tickets. The research found that the Scandinavian countries have ambitious plans for public transport’s role in reducing carbon and toxic emissions. These include low or zero emission bus fleets and modal shifts from other transport modes. Copenhagen’s metro and suburban rail services are a key part of the city’s plan to be the first in the world to be CO2 free by 2025. There will be no diesel-powered buses in Oslo by 2020, and in Sweden Skåne’s bus fleet will run on fossil-free fuel by the same year. 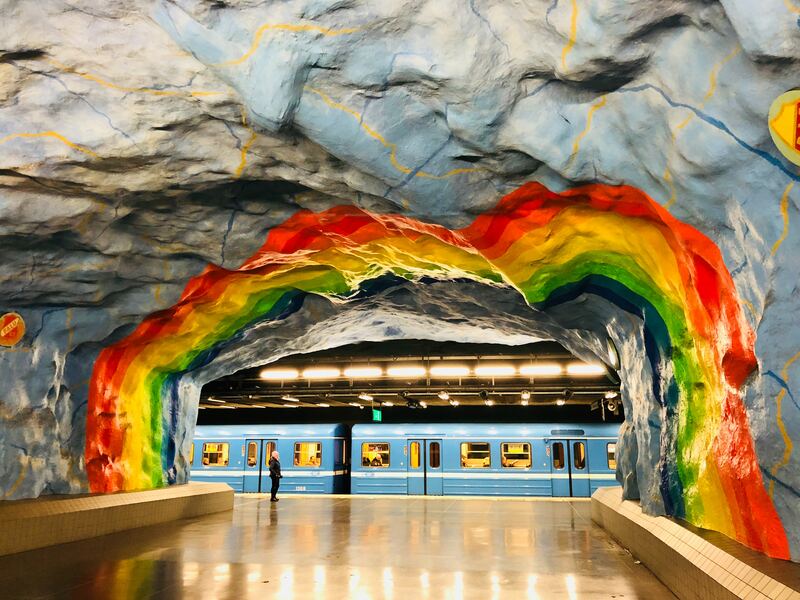 Public transport strategies in Norway, Sweden and Denmark are aligned with wider national and sub-national goals for economic development, land use planning and social cohesion. Levels of revenue support for bus services underpin a high quality of service, and levels of public transport use are high (although in Denmark, heavy investment in cycling infrastructure means public transport usage is relatively low). Even as local, devolved and national governments are trying to encourage greater use of public transport, the evidence suggests that in a significant number of British cities – including Glasgow, Birmingham, Bristol, Leeds and Sheffield, the number of people travelling by public transport is falling. This entry was posted in Transport, Infrastructure and communications and tagged buses, copenhagen, Denmark, ENGLAND, environmental impact, fares, franchising, light rail, local transport, Nordic, NORTHERN IRELAND, norway, public transport, Railways, Scandinavia, Scotland, service levels, Sweden, technology, trains, urban transport, Urban Transport Group, WALES. Bookmark the permalink.